1: The Tarot illustrates, first of all, the Tree of Life in its universal aspect. 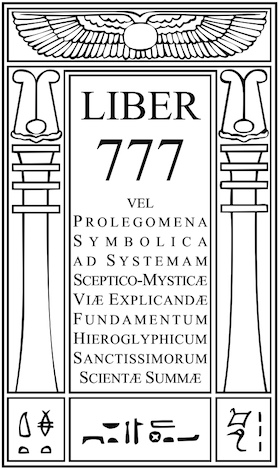 This figure must be studied very carefully, for it is the structure upon which the whole system of the Tarot is based. 2: The Tarot trumps are 22 in number; they represent the Paths 11-32 between the ten Sephiroth. Their arrangment is significant. 3: The small cards numbered 1 to 10 correspond to the Sephiroth. These cards are shown in fourfold form, because they are not the pure abstract numbers, but particular symbols of those numbers in the universe of manifestation, which is, for convenience, classified under the figure of the four elements. 4: The Court cards represent the elements themselves, each element divided into four sub-elements.